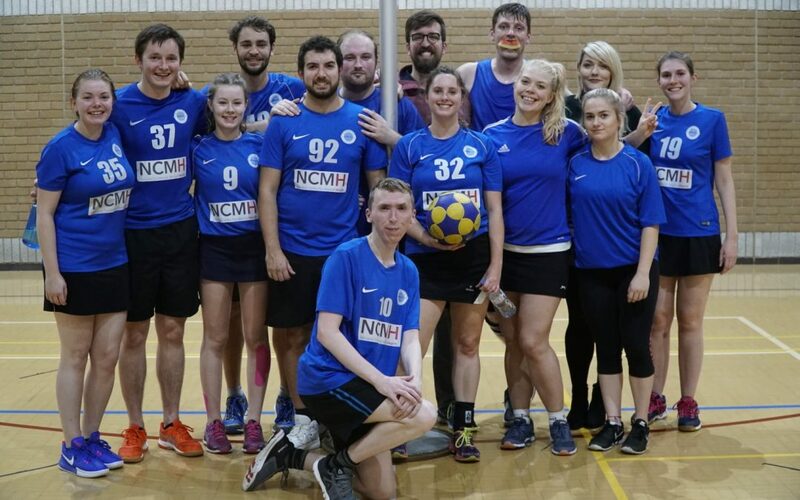 Mavericks maintained their position at the head of the pack with a convincing victory against title-rivals, Cardiff University 1, the side who stopped Mavericks from becoming last season’s Invincibles with a win in the final match. The match was a tense affair with the score remaining close for much of the game. There were first appearances this season for Mavericks, as Liam, Izzy, Katie, and Bea stepped into the team. Katie scored her first goal of the season, whilst Izzy and Liam found the target for 2 and 3 goals respectively. Mavericks stepped up a gear, following a time out, to build a lead that the students would be unable to reel in. Leading the way was talisman Nick Butler who, in a man-of-the-match performance as voted by both the team and the opposition, scored a hefty 5 goals for the Mavs. With contributions from Naomi, Jack, plus an impressive two goals from Zoe Clayton who just keeps getting better in her debut year of korfball, the game was won in a reasonably comfortable manner, though Cardiff Uni 1 certainly look set to be the main rivals for the WNL crown this year; if they can maintain consistent form against the other competitors then they have every chance of overturning Mavs’ advantage at the next meeting.